The Supreme Court has today issued notice to Central Government on a petition filed on behalf of Mr. Prashant Bhushan regarding non-issue of full-validity passport to him. (Prashant Bhushan v Union of India & Anr). The Supreme Court has asked the government to file its reply within 3 weeks. 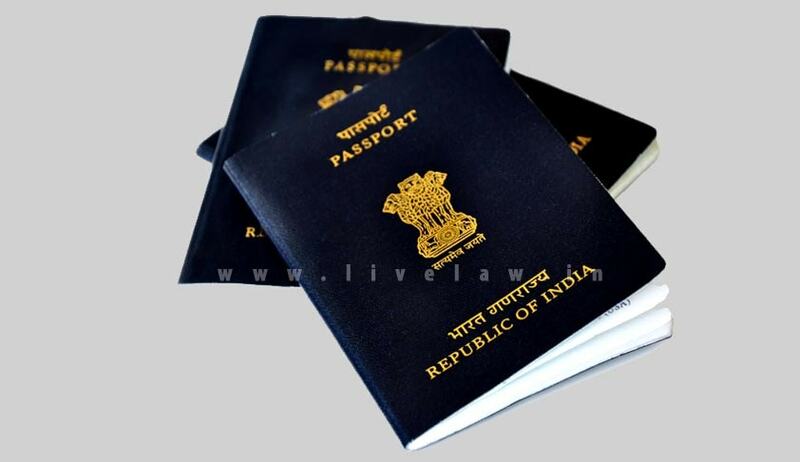 The petition challenges Section 6(2)(f) of the Passports' Act 1967 read with Notification 570(E) of the Central Government which require a person against whom there is any criminal case pending in any court to obtain an NOC from the concerned court and if the NOC is silent about the duration for which the passport may be issued, the passport shall be issued for only one year instead of normal 10 year validity. Mr. Jayant Bhushan, counsel for the petitioner, argued that government's own travel advisory as well as international guidelines with regard to travel to many countries require a passport holder to have 6 months of validity left on his passport (beyond the duration of travel) in order to apply for a passport. Since the petitioner is being repeatedly issued a short validity passport of one year, it has rendered him effectively ineligible to travel abroad for a large part of the year, thereby violating his Right to Life under Article 21 of the Indian Constitution. The matter is stated to be listed after 3 weeks. “Section 6(2)(f) of the Passports Act is in violation of Article 14 as it fails to distinguish between a person who is accused of having committed a serious crime and a person who is accused of a minor offence. By imposing the same restriction for all those against whom a criminal case may be pending before any court, Section 6(2)(f) treats unequals as equals and thereby violates the equality clause of Article 14 of the Constitution of India. Section 6(2) (f) of the Passports Act violates Article 21 rights read with Article 14 as it fails to make a distinction between a person accused of bailable and a non-bailable offence. In a case of bailable offence, a person against whom any criminal case is pending shall get bail as a matter of right, however, such a person is still restricted by Section 6(2)(f) of the Passports Act and can get a passport with a validity of only one year. Similarly, in a case where there is a case pending against a person for having committed a non-bailable offence, the court where the person applies for bail has the opportunity to give bail upon the condition that the person may not travel or may travel under certain stipulated conditions. The concerned court has all the right and the opportunity to put conditions of travel upon a person against whom a criminal case in pending. But in case where the concerned court chooses not to impose any condition, to give power to the passport authority to deny the passport violates Articles 14 and 21 as interpreted by the landmark 7-judge bench judgment of this Hon’ble Court in Maneka Gandhi case ((1978) 1 SCC 248). The restriction in Section (6)(2)(f) is unconstitutional and in violation of fundamental rights guaranteed under Article 14 and 21 since a person accused of a crime is presumed to be innocent and restrictions on his personal liberty can only be imposed the criminal court concerned where his case is brought for trial. If the court concerned does not choose to impose any restriction on the liberty of the accused, then the executive cannot deny a passport to a person merely because some criminal case is pending against him. Therefore the Section 6(2)(f) violates Article 14 and 21 of the Constitution and is liable to be set-aside.